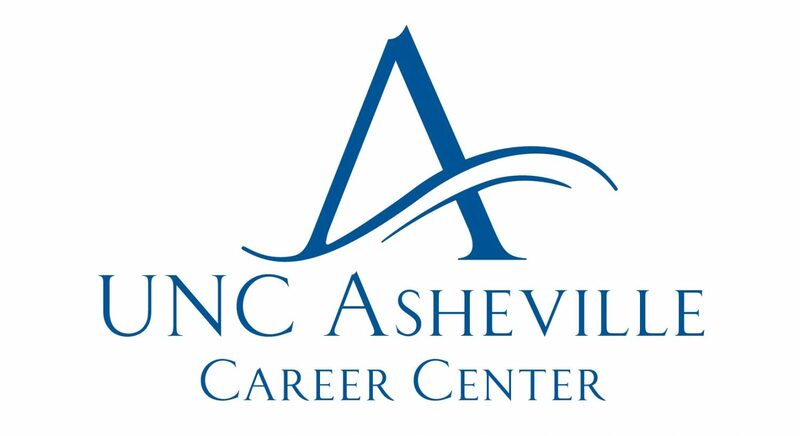 A place for students and alumni to share their stories, brought to you by the UNC Asheville Career Center. Hello! My name is Sandy LaCorte and I graduated from UNC Asheville in 2008, where I earned a B.S. in Atmospheric Sciences and a minor in Mathematics. One interesting thing about my choice of major is that I was not always interested in meteorology. In fact, growing up I was diagnosed with astraphobia, which is the fear of thunder and lightning. It was through the process of learning howthe atmosphere worked that I was able to overcome my fears and in highschool I realized that my fear had become my passion. I have always been a person who enjoyed being a part of many things. So while I was focused on opportunities within my major, including being an active member and officer of the American Meteorological Society Student Chapter, a weather forecast team member for the University Weather Information Line and The Blue Banner, I was also involved in other various activities. I was a SUMMIT freshman orientation leader and University Ambassador, a member of the campus Habitat for Humanity organization, and a Senior Class Board member, just to name a few. My experience at UNC Asheville was one that I will never forget, and one that I truly believe helped pave the road to where I am today. Today, you can find me in Wilmington, NC where I am a Meteorologist at the National Weather Service (NWS). My daily responsibilities include ensuring the quality control of incoming and outgoing climate and river data, issuing a variety of forecasts, including aviation and rip currents, answering public phone calls, assisting with local and national media interviews, and taking part in community outreach. One of the great things about being a NWS meteorologist is that you have a lot of opportunities, so in addition to my daily tasks, I’m the chief editor of our office newsletter and a team member for various office programs, including rip currents and severe weather operations. I’m also currently working on a tornado climatology research project for the Carolinas and am collaborating with numerous co-workers and agencies throughout the region on a Hurricane Hazel 60th Anniversary project. Can you tell us about your first job search? My first job search situation was quite unique, in that I was fortunate enough to have an opportunity that not many students have. As a graduate student at the University of Alabama – Huntsville, I applied for and was accepted into the NOAA SCEP (Student Career Experience Program). This program allowed me to work at the National Weather Service in Huntsville, AL (co-located with the university) while I completed my graduate work. After finishing graduate school with a M.S. in Atmospheric Science in February 2011, it was only a few months later in April when I began working full-time at the NWS Wilmington, NC office. The SCEP program allowed me to gain the necessary experience that would help to open doors very quickly for the next step in my career. What experiences have best prepared you for your current professional role? Throughout my time at UNC Asheville, there were many occasions outside of my education classes in which I learned something that prepared me for where I am now. From networking at conferences to being a part of extracurricular activities, I also was fortunate to participate in an internship during the summer of 2007 at the National Weather Service in Greenville-Spartanburg, SC. What an awesome experience! I had the chance to work on weather projects, shadow staff members, work during severe weather events, and overall learn what it was like to work in the field. It wasn’t long before I realized that this was the career route I wanted to take. During the late Springs of both my junior and senior years I also had the opportunity to be a part of storm chasing trips in collaboration with Virginia Tech – an opportunity in which other classmates had participated in years past. I may have seen just over a dozen tornadoes in these chase trips, but the most amazing aspect was the ability to see with my own eyes the evolution of supercell thunderstorms, just as we learned in the classroom. In graduate school, I was a part of a field experiment project, VORTEX II, which allowed me to collaborate with classmates and other universities with weather instrumentation to study tornadogenesis. As a meteorologist in the National Weather Service, there are different levels within the agency, each with its own different responsibilities. At this time, I’m in the process of applying for the next level, which is exciting. Overall, the learning and education continues. There isn’t one day that goes by that I do not learn something new and it’s not only fun but amazing. What do you know now that you wish you knew as a student? As a student, no matter the age, I think it’s common to always compare yourself to your peers, especially academically, which can at times be discouraging to anyone. Something that I learned through college is that everyone is going to both learn and academically perform differently. But that doesn’t matter. Your time in college is your time. You are laying the foundation for your future and no one else’s. No one can take that away from you! If you’re passionate about a certain subject or career path, you have to find that inner strength. When you’re able to do that, your success will prevail above all. No one said college was easy, though often it seems easy for some of your peers. Again, that doesn’t matter. Hard work truly does pay off in the end. What advice do you have for job-seeking students who are pursuing your degree? One main piece of advice I like to share with students interested in Atmospheric Science/Meteorology that I’ve found to be important in my journey thus far is this: Network, network, network. If you have the opportunity to go to a conference, bring business cards – it’s ok to have a business card as a student. This is a great way to share your information. I’ll be honest – the first conference I went to was the American Meteorological Society Annual Meeting, wher e meteorologists from all over the world were in attendance. I literally approached people I did not know and started talking with them about their careers and how they came to be where they are now. This not only allowed me to learn about the numerous opportunities in meteorology, but here I am 7 years later, and I am still in contact with some of those same people. Many may not realize how small the meteorological community actually is. Someone you network with could be a future co-worker or boss, or could provide you with information for that one opportunity you’ve been looking for to take that next step in your career. If you are unable to attend a conference, you can still network. If there’s a certain path you’re interested in, whether it be the National Weather Service, the private sector, military, research, teaching, etc – ask your professors if they know anyone in that particular area that you could speak with to learn more about it. Always use your resources. If they do not have the information you need, they will point you in the right direction. Other pieces of advice would be to go above and beyond. If you are assigned to read a research paper for class, go ahead and read another paper. Take an extra elective class, get involved with a project, find a summer internship, etc. Anything extra that you do just adds that much more to your experience and it’s that sort of passion that will be recognized by future employers.